It sounds like something out of a movie: Treasure hunters and history buffs start digging up a patch of land they say holds long-lost gold. But in Pennsylvania, it's actually happening. 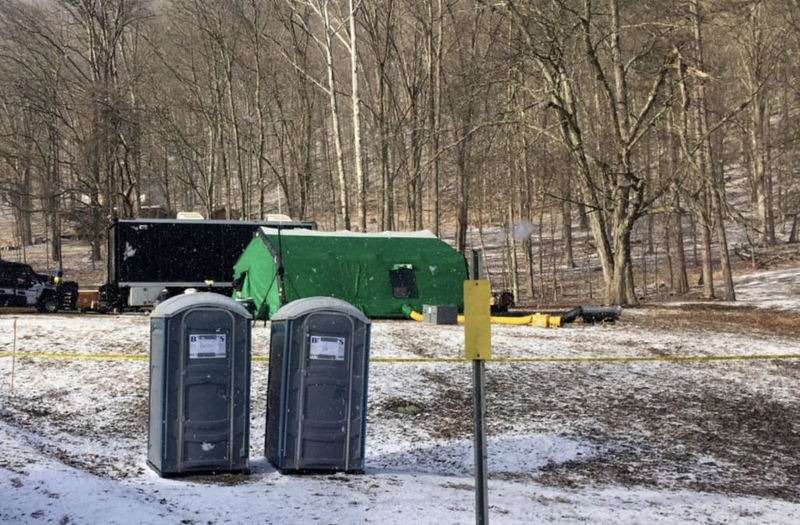 Treasure-hunting group Finders Keepers is excavating a site in Elk County that's home to a Civil War legend about lost Union gold. Legend has it a Union shipment of 26 gold bars was lost in 1863. Some stories claim the convoy was ambushed and the loot buried. Nowadays, that gold would be worth upwards of $27 million. The treasure hunters are accompanied by both the FBI and the Department of Conservation and Natural Resources. An FBI public affairs specialist said agents there "were conducting court-authorized law enforcement activity."